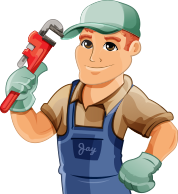 If you haven’t had your furnace replaced in a long time, you are in for a pleasant surprise. Furnace technology has improved a lot over the years. Not only are new furnaces much more energy efficient, but they also are much quieter and maintain more consistent temperatures. Variable speed motors substantially reduce electricity required and operate much quieter than older furnaces. Multi-stage heating maintains more even internal temperatures while helping to save energy costs. A Better Way Plumbing & Heating will help you choose the right furnace for the size of your home and your budget. We’ll make sure you the exact furnace you need for our Calgary winters. Give us a call and we’ll help you choose the perfect furnace for you home, budget and needs. We can deliver and install the new furnace in less than a day.